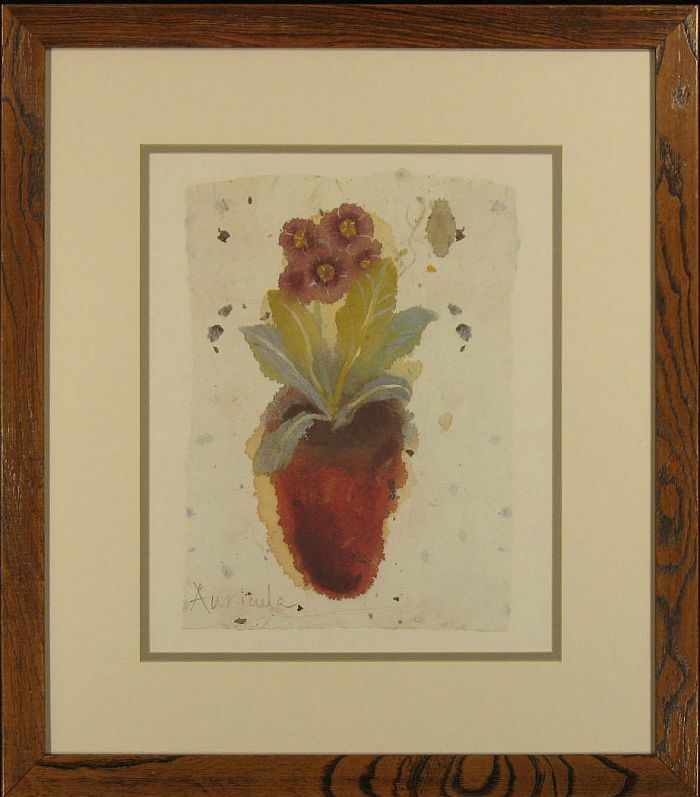 26″W x 25″H. 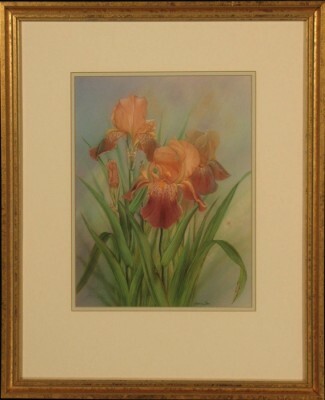 Pencil signed by artist Barbara Benedetti Newton. Limited edition (26/550). Solid wood frame. Whole piece is in excellent condition. 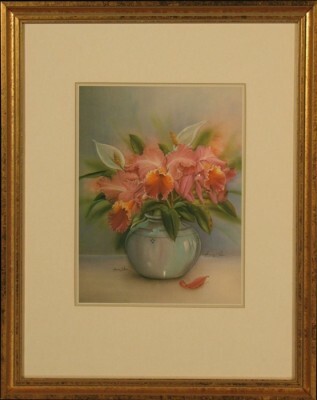 Newton is famous throughout the northwest as a master of the colored pencil still life. 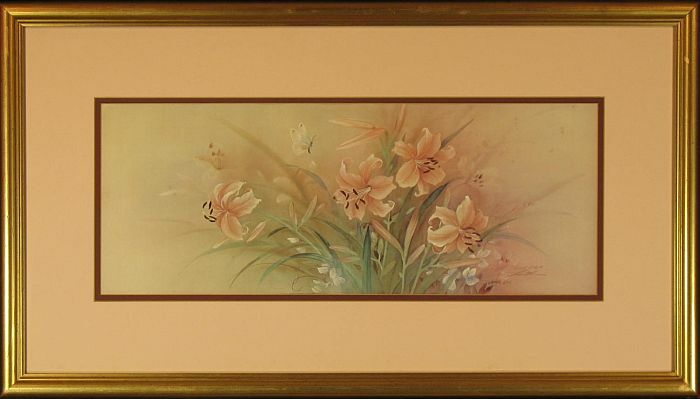 This beautiful example is from the mid 1990s. 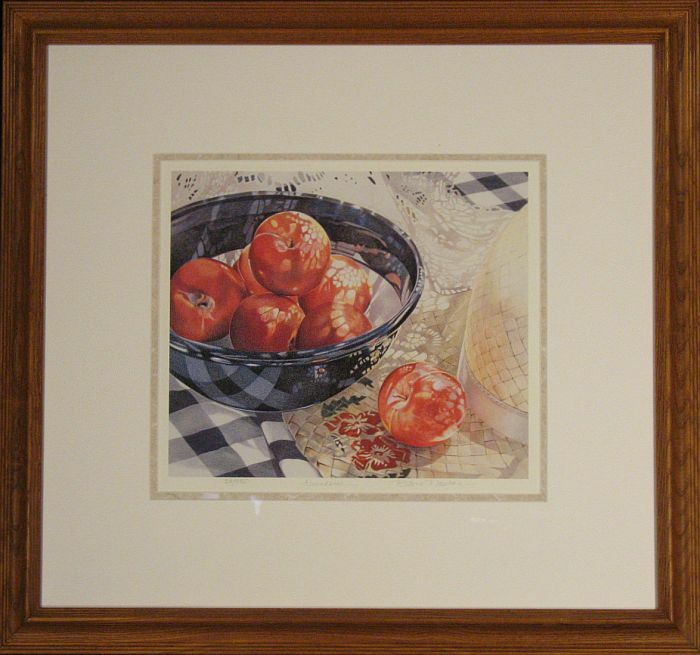 A rare piece to be proudly hung in a kitchen or dining room.